Always Crafting: Hambo Challenge - You've been framed! It is time for another Hambo Hoedown! This times challenge is You've been framed! This was a fun challenge and great image. The image we were given for this challenge is Camera Guy digi. 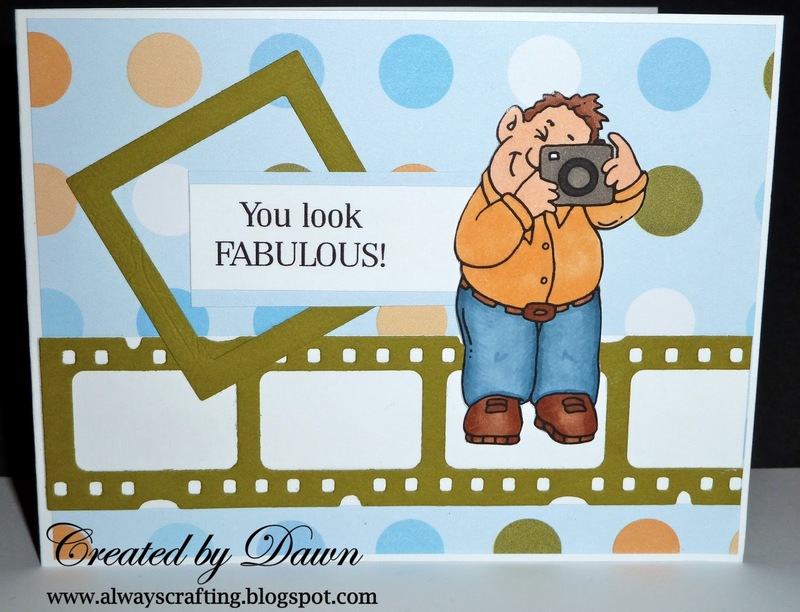 On this card I used: Sizzix film strip, quickutz frame, Hambo Camera Guy and sentiment. 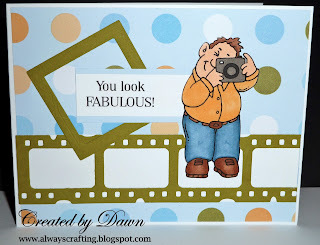 I love that filmstrip element along the bottom of your card and your fantastic coloring! Thanks so much for playing along at the Hoedown this week! So cute!!! I love how his blue jeans look, they look completely real! Thanks for joining us at the Hoedown!